04:43 Oak Guys, new Koha installation I did. Things have changed... w.r.t. Zebra? There is an indexer and there is a commented line in cron.d (old style). Zebra keeps stopping daily. 04:44 Oak Logs (zebra-error) have a message like "20180724 07:35:23 brightstar-koha-zebra: client (pid 3043) killed by signal 15, stopping"
04:49 Oak Server is a VM on cloud. 05:21 kivilahtio Oak: are you doing the now unsupported dev install or using Debian-packages? 05:21 kivilahtio Oak: Or using the Ansible-Koha-Dev ? 05:22 kivilahtio Oak: what does w.r.t mean? 05:27 kivilahtio Oak: is it restarting or actually dying and not servicing? 05:32 kivilahtio If your problem appears daily, cron.daily doesn't havea guaranteed time to run, except that it runs daily, if the server is on. 05:32 Oak Cool, thanks kivilahtio. I'm searching as well. 05:37 kivilahtio Oak: these signals are really difficult matters to debug. 08:36 cait is this for easyanalytics? 08:40 eythian cait: can you folks please stop drinking from the Rijn. We're running out of water over here! 08:47 cait but... it's so hot here! 08:56 wahanui systempreference is set to match the way it was in 3.6. 09:03 eythian cait: it's hot enough here that 12 bridges can't be opened to let boats through as the expansion has locked them shut. 09:10 dersmon where are you eythian? 09:10 eythian cait: yeah, we're hitting drought. Which for a waterlogged country is quite something. 09:10 wahanui well, Amsterdam is nice. 09:10 wahanui I saw it on Digg! 09:11 eythian no wahanui, it's true is <reply>\I read it in a book! 09:11 eythian wahanui: it's true is <reply>\I read it in a book! 09:11 eythian no wahanui: it's true is <reply>\I read it in a book! 10:06 cait how are you limiting to the branch? 10:07 cait i am not sure it's possible even? 10:07 cait I guess there are items of the branch you limited to and anothers? 11:30 magnuse cait: ooh, that might work! 12:06 huginn Joubu: The operation succeeded. 12:06 magnuse cait++ for being a genious! 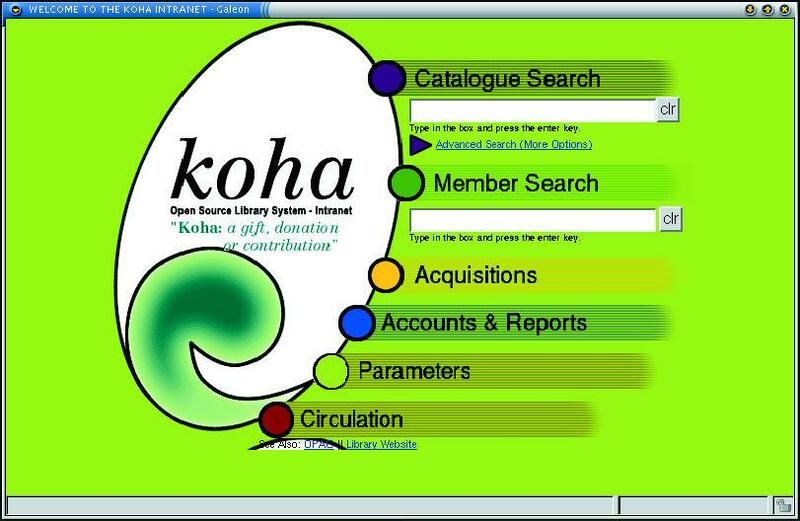 12:07 kohaputti What's the procedure of fixing bugs in https://github.com/Koha-Commun[…]/v1/swagger/paths ? Can I just edit them directly and send a patch or is there some program I need to run to make the changes. 12:12 kohaputti or step 3. 12:14 kidclamp Joubu - did you figure out what was giving you troubles on scss? 12:15 kohaputti Joubu, btw, I used to use the nick "Putti" before so you might remember me from ~2 years ago from this channel. 12:16 oleonard kidclamp: That is a mystery to me. 12:19 oleonard kidclamp: I mean to say: I get that too and it has been a mystery to me since forever. 13:19 oleonard wahanui: forget Hello all! 13:20 caroline Hi oleonard ! 13:46 kohaputti tcohen, do you have some tool to format those openapi files? If not, maybe it would be good idea to have one. 13:48 tcohen you mean a UI for inspecting the API? 14:15 kohaputti I don't have anything mind yet, but as I start developing koha again maybe I will find some tools. I will let you know then. And thanks for telling your process! 15:46 caroline Anybody doing translation is here right now? 15:54 cait what's the question? 15:54 wahanui the question is "What is the meaning of life, the universe and everything?" 15:55 caroline Hi cait! I was wondering in pref.po, what do I do with something like "acquisitions.pref#AcqCreateItem# This is only the default behavior, and can be changed per-basket." Do I leave acquisitions.pref#AcqCreateItem# ? 15:57 caroline ah ok! So if it's just "acquisitions.pref" I write nothing? 15:57 caroline Ok thank you! 22:04 caroline Good night everyone!